The expectation that training enhances performance is well explored in professional sport. However, the additional challenges of physical and cognitive maturation may require careful consideration when determining workloads to enhance performance in adolescents. The objective of this study was to determine the state of knowledge on the relationship between workloads, physical performance, injury and/or illness in adolescent male football players. A systematic review of workloads, physical performance, injury and illness in male adolescent football players was conducted. Studies for this review were identified through a systematic search of six electronic databases (Academic Search Complete, CINAHL, PsycINFO, PubMed, SPORTDiscus, and Web of Science). For the purpose of this review, load was defined as the cumulative amount of stress placed on an individual from multiple training sessions and games over a period of time, expressed in terms of either the external workloads performed (e.g., resistance lifted, kilometres run) or the internal response (e.g., heart rate, rating of perceived exertion) to that workload. A total of 2,081 studies were initially retrieved from the six databases, of which 892 were duplicates. After screening the titles, abstracts and full texts, we identified 23 articles meeting our criteria around adolescent football players, workloads, physical performance, injury and/or illness. Seventeen articles addressed the relationship between load and physical performance, four articles addressed the relationship between load and injury and two articles addressed both. 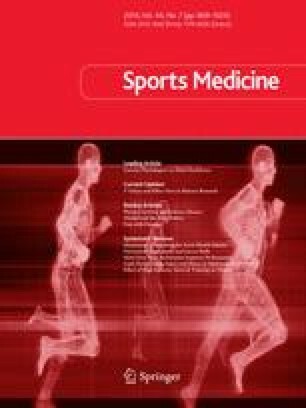 A wide range of training modalities were employed to improve the physical performance of adolescent football players, with strength training, high-intensity interval training, dribbling and small-sided games training, and a combination of these modalities in addition to normal football training, resulting in improved performances on a wide range of physiological and skill assessments. Furthermore, there was some (limited) evidence that higher workloads may be associated with the development of better physical qualities, with one study demonstrating enhanced submaximal interval shuttle run performance with each additional hour of training or game play. Of the few studies examining negative consequences associated with workloads, increases in training load led to increases in injury rates, while longer training duration was associated with a greater incidence of illness. The combined capacity for adolescent males to grow, train and improve physical performance highlights and underscores an exciting responsiveness to training in the football environment. However, the capacity to train has some established barriers for adolescents experiencing high workloads, which could also result in negative consequences. Additional research on stage-appropriate training for adolescent male footballers is required in order to address the knowledge gaps and enhance safe and efficient training practices. The authors have no conflicts of interest that are directly relevant to this review. This study was funded by a National Collaborative Health Sciences Research Grant.